This app is much more than a solid web crawler/spider but I will start with its basic crawling ability. This app actually crawls where you tell it to and does a great job of rendering the crawled website accurately. Not sure why so many crawlers seem to fall off the rails when it comes to how far they crawl and limit where you tell it to but this app gets it right. This app includes a cloud sync service which syncs your crawled pages to all your devices where the app is installed aka iPhone, iPad, and if you buy the Mac version, on your Mac. The app really comes alive if you have a Mac and buy the Mac version of this app. On the Mac there is an export option under the File menu allowing you to save a local crawled copy of the website. I use this to store important sites on Dropbox— I copy the local website folder created by offline reader to Dropbox. 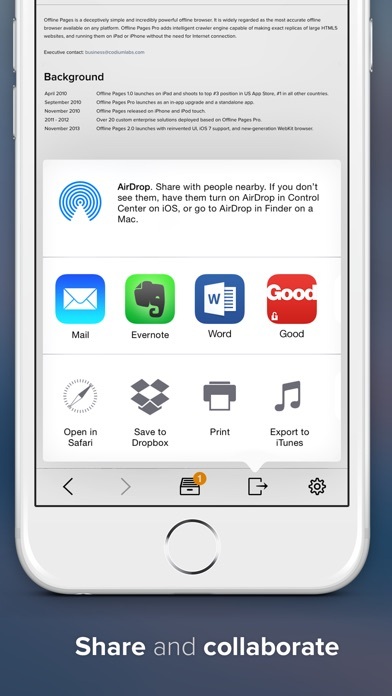 The app lets you setup a “secret” email address where you can email web pages to be crawled or documents. Great for quick notes and reminders. On top of this there are a large range of innovative features including the ability to update previously crawled pages, a very fast built-in reader, integration with the native iOS safari app via a bookmark, spotlight integration, and many other features. Useful app but it needs a better way to sort through saved pages. It has tagging functionality but as far as I can tell there's no way to search or filter by tag? It also randomly loses your tabs. So many thanks for your awesome app. Please regularly update it for best performance, sincerely yours QUEMARS. I was very impressed by the promptness and professionalism of the developer, who helped me troubleshoot a difficulty I was having getting embedded music files to download properly. He not only gave me detailed directions, but actually tested them on the site that I was having trouble with. Thanks to this help, this app will be able to do exactly what I need it to do: display my organization's webpage for presentations at various events without having to worry about wifi. One star off for the design not being intuitive enough to troubleshoot myself. Could not get it this program to do ANYTHING useful. No pages saved despite numerous attempts. Not much support from developer. Very organized and simple to Use .. hardly none if any glitches! I wanted to have my portfolio site offline in case I needed it in an interview without wifi, and didn’t want to have to spend time making PDFs of everything. I have a customized version of the Salient wordpress theme and this app was able to download all the styling and files on my site to have it work perfectly offline. Worth the money. Not only is this app amazing but the customer service is unbelievable. I was having issues with a particular website I wanted to save and contacted Codium Labs for advice. They emailed me back within hours with a fix for the site. It worked perfectly! Helpful and human, YES! Best offline reader too date. Works perfect and great for when away from wi fi. Fantastic. Takes out all the guesswork. At first I was confused about the settings then Andrei patiently explained to me how they should be set. When I still had problems with a particularly odd website Andrei created a site-specific tweak that automates the settings and enabled me to download the entire website of some 800 pages in 10 minutes. The customer service is great! And the app is also great. Could do with a more detailed user guide which Andrei said they are working on. Highly recommended. So useful! If I'm traveling with spotty cell service, I can still access information. Offline pages works well for me. I sometimes have limited time to read all that I want to when I see a story or article of interest. It is then I will use this app to save the stories or articles for reading at a more convenient time. It will not actually download the website. It may work few times but it will wash out for sure. I want a refund. You're supposed to be able to read blogs offline, but it doesn't actually save the article links very well. Frustrating. Crashes all the time now. Browser is slow and doesn't render some pages properly. Codium Labs and their apps are great. This app has a great UI and is very easy to use. The pages are fully functional and even maintain technical effects. I had one problem with my site (which was a mess code-wise), Codium Labs had my problem solved within hours. I highly recommend this app. It doesn't work at all!! Help or money back, please! Now is working good. Thank you!! I don’t know if I’ve bought all the offline browsers out there, but I’ve tried everything I could find. Most of them are buggy and/or they lack features that are in the must-have category. Offline pages has it all and it just plain works. My search is over. Not only can you download, say, your favorite website and tell it to download however may links down you want (up to 4), but you can also tell it whether to stay within that domain or subdomain, how many links to download max (up to 1000), and loads of other details. 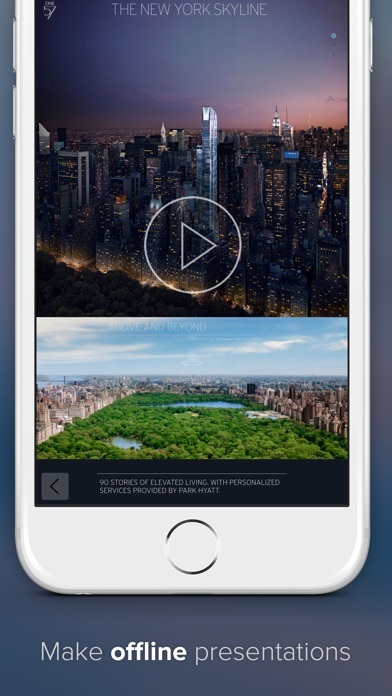 You can even choose whether to download video content. How cool is that? Using Offline Pages, I can easily download my favorite Youtube videos to show folks when I’m stuck on a plane! And it does all this super-easy. No need to read a manual. My favorite feature is how it handles forums. Before jumping on an International flight, I used to go to my favorite forums and then manually load and save all the threads I wanted to read on the plane, using a different app. Now that I’ve got Offline Pages, that process is way easier. I can grab the whole forum or click on individual threads for downloading. But here’s the cool part: if you tell it to only download one link down, but the thread has, say, 20 pages, it’s smart enough to grab every page from that thread. The same goes if you want to download a single thread but that thread extends into other pages. It grabs all the pages to that thread, knowing that you wanted more than just the first page. And it does all that automatically. Another feature I love is the “Save Link to Inbox” feature, which you can bring up by clicking on any link while browsing. If you do that, it adds the link to your inbox (a folder in the app, where all your new downloads show up), for future downloading. If you’re hooked up to the internet, it will grab it right away. If you’re not, then it downloads it the next time you’ve opened the app while connected to the ‘net. This is very useful as I’ll be on a plane reading stored content offline and they’ll be some further info I want on some of the links. Using this feature, I can make one or two clicks and very easily set up those pages to be grabbed later. There are also tons of details that makes me think this software was designed by Apple’s design folks. For example, if you’ve copied a website from Safari or Chrome and you want to open it in Offline Pages to download so that you can have it offline, as soon as you open the app, it recognizes that you have a website in your clipboard and it asks if you’d like to download it. While not a huge time savor, it does save you from going to the address bar and then pasting it in. Is that feature really necessary? Nope. Is it evidence of a quality product? You bet. The browser built into the app is quite good. I catch myself using it now periodically instead of Chrome. Is it better? No. Is it almost as good? Yup. I bought the Pro version (this one), so I can’t say which features might be missing if you get the cheaper version. But trust me, this is worth every penny. And if you’ve been frustrated with other offline browsers, your search is over. Offline Pages ROCKS! If this review helped you, or even if it didn’t, please give me feedback. I normally don’t write lengthy reviews, but the nature of the product justified it here. This app is great! I use it mostly for saving blog webpages for long trips. This app works perfectly. It has great support with frequent updates. 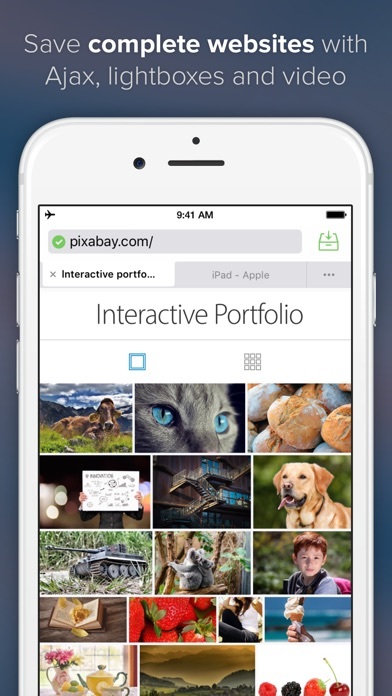 It supports iOS 8 extensions too. I don't use it a lot, but when I need it, it's there and works like it's supposed to. Very convenient, too. Put the link on your bookmarks bar and when there's something you want to save for later, zip, it's done. 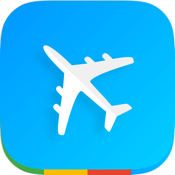 As a traveler I use and love this app everyday. Works flawlessly. A great system for organizing files and documents. I really love this app, it is fantastic in saving pages, plus I can use it as an internet browser. But it lacks some features that a normal browser have, like the bookmarks thing, the main page for the app (browser), the favorites. Every time I need to access some pages that I need to browse only (not saving), I had to write the full url, which is frustrating, I really wish this app to have bookmarks beside the saved pages main feature, and url suggestions, like safari, which will ease our works. I really waited for this update to include this features but it doesn't, I really wish you to include them in next updates, thank you. Tried to capture a portion of a site, it would only save one page. Tried all options. Sent email they guarantee 12 hour turnaround for an answer. Still haven't heard back. Failed. Offline pages review: It's just like pocket, but saves video also. I download a lot of lectures and listen to it while I am driving. This app is an investment - put time in to understand it, and it will give you back a lot more. Great for knowledge seekers. However, there is still no password protection option for getting into the app. Some stuff that I download are private, and I need to keep it that way. I spoke to the developers a couple of months ago and they said this feature is coming, but it has not been implemented in the recent update. The app crashes frequently. I am truly surprised that Apple would even approve this app in the App Store. It failed to live up to any of its advertised feature claims. It would not save even the simplest of complete websites (simple page turners). I was evaluating this app for my employer to support our outside customer support team. The app is very good and functional to what it does, it also has a 5 star customer service. I had a small specific request for my needs and the team was ready to help me right away. Highly recommended! With our limited access to the internet in Libya, this app is just fit for purpose. iPhone 4 – iOS 7.1.2 Have used this app for years, with very good results. On the above-listed HW/SW rig, however, the two most recent versions (v2.9.5 and v2.10.0) both consistently fail to launch due to timeout watchdog errors. Safari bookmarklet makes it easy to add a page. App has several options for scheduling updates and following links. Great for offline reading, as well as monitoring pages and sites. Essential bit of kit. A brilliant and useful idea that serves a need I never really considered until I got this app. As other reviewers observed, it isn't exactly speedy, and downloading works best within the app (though still viable with app in background), but if you keep those things in mind, it's easy to work around them -- for instance, I load in the evenings near my wifi hub, walk away to do other things, and come back later to check in and load the next pages. I have needed this app for a long time. Great for downloading a newspaper website for fresh news just before boarding plane. I made ten or more saves and I can't even open a page with some pictures. As soon as I open it, it blinks and takes me to home screen. Totally not worth $9.99. Unlike Readability, OP has never failed to save every page of multi-page articles. I'm docking one star because pages load quite slowly on my iPod Touch 4S. Also, it would be nice if the app had something along the lines of Safari's Reader function. Overall, great app. Needed my iPad to show website to clients w/o worry of wifi connection. Works perfectly. Even downloads the websites that my website links too! Perfect for presentations. Made me 1000 dollars the first day I d/l it.. If I have one complaint, maybe the interface could be tweaked a bit to make it easier to use. This is great for downloading hiking and fishing details and pages prior to leaving cell coverage areas. I was trying to backup educational videos to study on the road and app never downloaded anything... it's like fake... the download cloud icons there but DONT WORK AT ALL!!!!! Recent updates have greatly improved the abilities of this app which was already the best page saver app. It now can save pages with embedded videos which is an excellent addition. 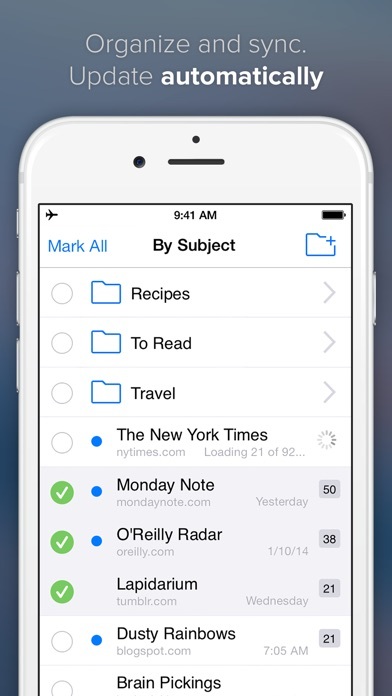 Great for offline referencing but the ability to create subfolders would help with organizing articles. I did not listen to other reviewers and now I am full of regret. Be warned: Do not waste your money on this app. It will download anything but the links that you actually need with no way to limit the app to specifically what you actually want. Regular expression matching for power users for such an overpriced app was kind of expected, but, heh, I was too naïve. The app wants to guess it all for you and does a horrible job at it, in my personal experience. The app does not save the page that was opened previously before closing the app, which makes it pointless for reading books/multi page content as you have to constantly remember how to get to the place you were reading last time. Seriously? Not even bookmarks? Is this real life? Overall, it would have been much easier for me to simply copy-paste the content by hand to a PDF on a desktop computer and read it with one of the available PDF readers, at least they can save where I was reading last. Not to mention the frustration of having to re-download the content I am trying to save if the internet cuts off, source website times out, or if user accidentally closes the app. Please, if you value your time and money do not waste it on this app unless need it for reading simple web pages, or save single pages individually, but then why would you get this pro version when there are cheaper versions of this app that do that functionality? What a waste of $10. Developers put so much effort and yet forgot the simple features that make this app a deal breaker. This is my favorite app for reading material offline. I subscribe to the NY Review of Books. 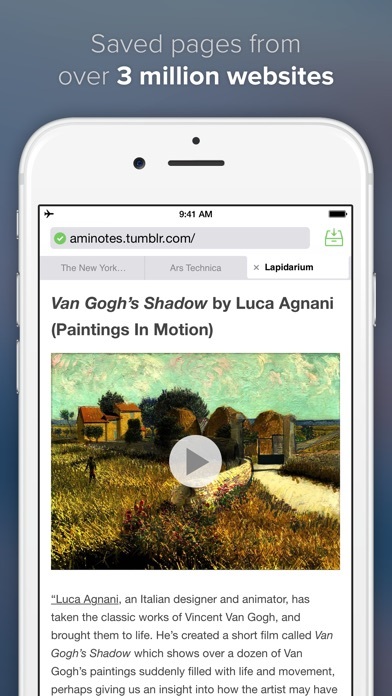 This app makes copying and saving the web pages easy. You can use it on any webpage. I use it on my Ipad. Such a useful app, so worth ten dollars. Never deleting it! Really needs usb to itunes, i don't want to have to download 3gb on my iPad. It can't save photos from saved pages. Doesn't save videos for offline. I've had a need and used this app successfully for a year. Greatly appreciated. Especially when you've got intermittent Internet. One star docked, however, due to the fact that pinch-zoom seems to break auto-resize between portrait and landscape so content will flow off the screen when the device rotates if you have pinch-zoomed once, requiring a reload of the document from memory. Bought this for work to show off our site at a trade show. Long story short, it doesn't work. I Tried various downloads on different settings. A popped up kept reminding me I was 'offline,' and therefore wouldn't show me the pages I supposedly downloaded. It is really useful and has many parameters for special requirements. It fails less than 1 in 20 sites when complex advertisements, overlays and pop ups confuse it. I got the app for the use of one website. It didn't work. I contacted customer support for help. Doing it through the app as recommended didn't work. I emailed them directly. The email don't go through. As of right now, the app is completely useless. I'll change my review IF they ever contact me but I'm not sure how they could because their email address is dead. Runs as it should. No annoying frequent updates and big fixes. Everything runs offline and I can save battery and data by keeping my LTE off. I found Offline Pro this week. I purchased an iPad4 without cellular as I'm surrounded by wi-fi and didn't want to spend the extra $150 for the configuration and then monthly charges. I'm on the bus for an hour/day and used the time for knitting. Now I find myself in a growth spurt, learning jQuery and Drupal, Php, CSs, etc. A lot of my training videos download to offline, so I went looking for offline website software too. I put out the $9.99 based on reviews, I never buy apps. I was. NOT disappointed. The developer was very responsive to my questions, and is continuing to improve this app. I travel a lot for work and my only time to really catch up with the various websites I read is when I sit on a plane. This app really works well for surfing and can highly recommend it. This is the greatestmoffline app! Download it you wont regret it! Didn't work for me. I couldn't figure out how to load entire website, only individual pages. No help files or directions, no way to contact developer for support or refund. On the upgrade it stated that it could crawl 50k pages on a site while the app only seems to grab 1000. Other than that this is a great app. This app does download articles and saves the whole page for you so you can look through it when you are in airplane mode. Three simple yet powerful words: Your app works! That verb, works, is so impactful - I can’t even tell you, but I’ll try. Because it works so well, your app helps me work faster and more efficiently - the holy grail for every business traveler! I consume large amounts of web content as part of my job and when I'm traveling your app is perfect! The first thing I do when I get up (even before breakfast!) is I grab my iPad and surf like crazy using offline pages to download as much content from around the internet as possible. I know its there, so whether I have in-flight internet or not I’m covered; peace of mind - another thing we business travelers crave. So, thanks for your awesome app. I bought this app so I could have a local copy of a website I made in order to show potential sponsors what my non-profit association does. This app does exactly that. I did have a type of slideshow on the site that wasn't showing up in the saved version of the site, but I emailed the developer and they updated it that day so it would save and display the slideshows offline. I'm very happy with the app. I've been using this app for years and I couldn't do without it! It let's me store and use offline a very large and complex dictionary site, updated frequently, comprising dozens of pages with hundreds of internal links to move among them... all working perfectly as if I were online. I just upgraded to an iPad Air 2 and moved Offline Pages over and it flies! Terriffic!